“The Company believes that each employee has unique talents and will ensure that these talents are fully utilized. Other skills will be encouraged and developed through training and development opportunities. The working environment shall be pleasurable and fun, combined with an open and friendly culture, but clear and disciplined focus and achieving maximum customer satisfaction. 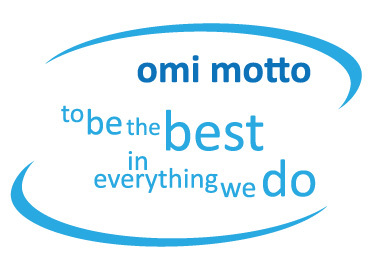 All staff will work as team members-part of wider family of Omi Facilities- delivering personal satisfaction from their own success and enjoying sharing in the success of the Company , in terms of profitability and market leadership.